With a flattering twist detail on the front and wonderfully supportive underwiring, this bikini top is a holiday no-brainer. Bra-sized moulded cups ensure a close fit for better shape and comfort, whether you're lounging on the beach or splashing in the pool. Say hello to our first cup-size tankini. It has a flattering twist detail, built-in underwire and boning for support. The moulded cups ensure a supportive fit and the straps are adjustable, so comfort is assured. 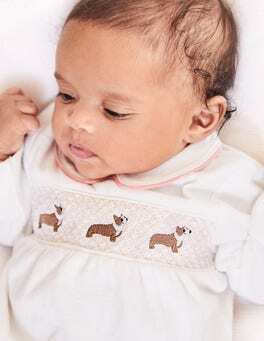 This 100% organically grown cotton jersey sleepsuit will keep little bundles comfortable all night long. 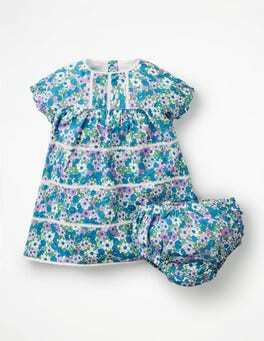 With full sleeves and built-in feet, it makes the perfect bedtime outfit. And the two smallest sizes come complete with scratch mitts to protect delicate skin. 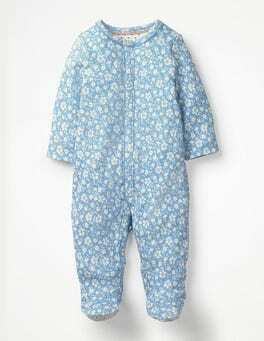 This sleepsuit is crafted from supersoft organically grown cotton and has built-in feet and long sleeves to keep your baby warm. A fun all-over print keeps it looking pretty sweet, too. The two smallest sizes have handy integrated scratch mitts (just in case). We’ve taken the classic vest shape and added some pretty ruffles. With sweet detailing and a rainbow of colours to choose from, finding your perfect shade will be no trouble at all. Ready, set, sun! How'd you like to own the softest socks in the world? 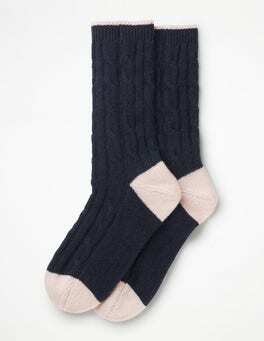 Featuring a thick cable knit pattern in pure 100% cashmere, we've tried on many socks in our time but are yet to find another pair this sumptuous. Choose from a range of colours, each with playful contrast tipping around the top. Bunnies aren't just for Easter. 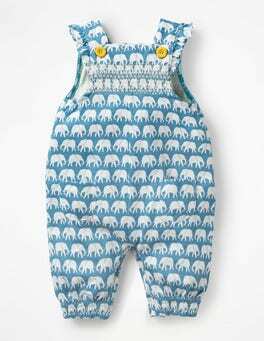 Little ones will stay toasty from head to toe in this relaxed romper suit decorated with a cheeky rabbit appliqué. It's lined with a playful contrasting print. 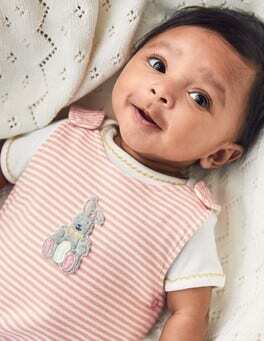 Our premium jersey is made from organically grown cotton that's kind to baby's delicate skin. This luxe sweatshirt is seriously indulgent, inside and out. Turn heads with the flattering drop shoulder shape and a choice of dazzling embellishments, embroidery or an all-over print. Whichever you choose, you'll stay as snug as can be in the supersoft brush-back cotton. Make a break for the water in this wave-inspired bikini. It comes in cup-sizes and has adjustable straps for a made-to-measure fit. The design has side boning and underwire for that all-important support so when the surf’s up, you’ll be set. Flip flops? Check. Floppy hat? Check. Cup-sized plunging swimsuit? Check. A holiday must-pack, this flattering one-piece with side boning, adjustable straps and underwired cups works round the clock – from morning sunbathing sessions to pool-bar happy hour. …poppers down the front and we've picked one out in gold so they're easier to line up. We've added a Peter Pan collar, guaranteed to make grown ups go 'ahh', and contrast stripes underneath to make little feet even more adorable, while non-slip spots on sizes nine months and up mean safer toddling. …cotton with a zip guard along the full-length opening to ensure it feels smooth against the skin. 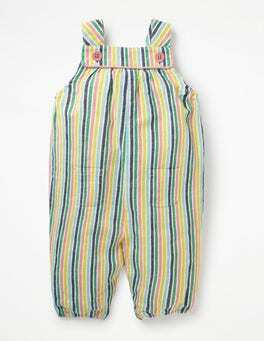 The suit's patterned legs contrast with the stripes underfoot, while non-slip spots on the feet for sizes nine months and upwards mean better grip when trying to toddle – no sliding, no toppling over. 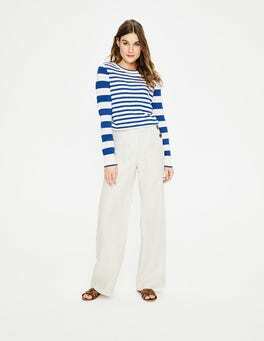 These trousers are the best way to look on your best behaviour (even if the mischief-making says otherwise). 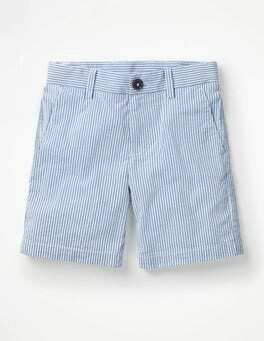 Best of all, the pure-cotton fabric and adjustable waistband mean they’re as comfortable as they are smart. Just add a shirt and blazer before perfecting those dance moves. 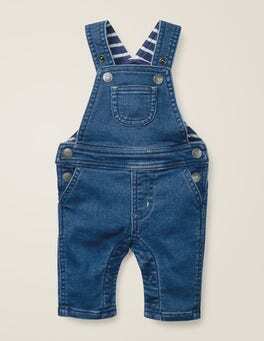 A ready-made occasion outfit for cheeky little ones? Yes please. 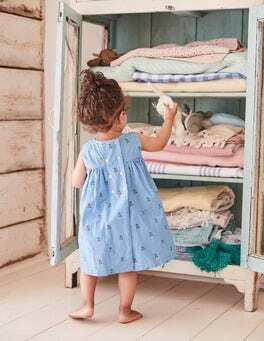 Our special smock dress features delicate lace detailing, colourful smocking and comes with matching knickers for fuss-free dressing. Buttons down the back save the day just in case there are any, ahem, accidents. 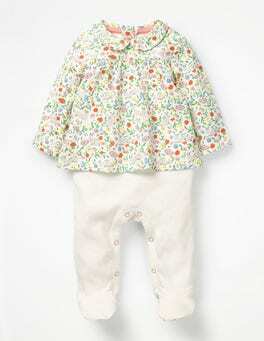 Prepare baby for their first special event with this capped-sleeve, full-skirted dress with its matching knickers. The bright fun fabric has rickrack edging for a sweet finish. The adorable details will guarantee plenty of ‘awws’ at the party. Ta-da – with its sweet ruffles and lacy hem for extra prettiness, this dress is just made for big days out with the family. 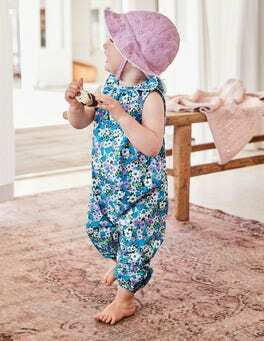 The full lining keeps it oh-so cosy for baby and it's machine washable – perfect for those unavoidable little spills and dribbles. Is it dressy enough for teddy bear tea parties? Definitely. Does it have the right level of comfort for bouncing through a soft-play session? Absolutely. This broderie-detail dress is made for babies on the go. 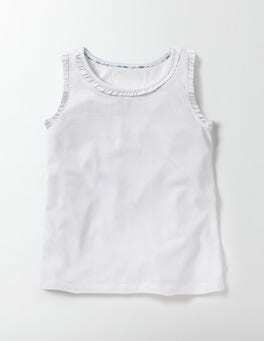 The soft slub cotton also has poppers down the back for easy changes. 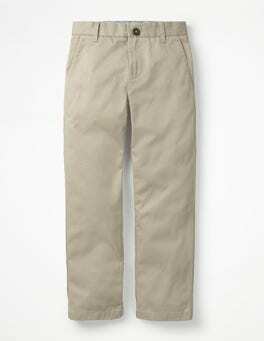 These slim-fit, stretchy chinos are 100% unique. That's because of the garment-dyed process, which gives them an authentic vintage finish. A belt loop at the back, in neon orange, adds a pop of colour. They'll keep looking sharp from breakfast to bedtime. …coming, so we made the prints on our frill sleeve jersey dress bold and bright to match. With a keyhole back it's easy to get on in a flash, leaving more time for playing outside. 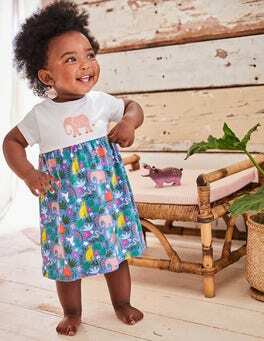 There's an adorable pom-braid trim on the sleeves, and the pockets are the perfect size for little hands. Or lollipops. Flay the flag for Great British design with this 100% cotton dress. 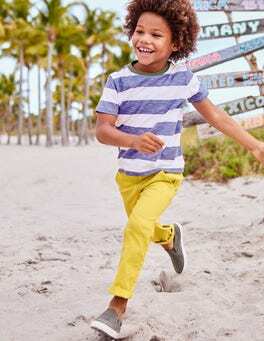 The matching adult size is perfect for coordinating looks. With oodles of frills and a bold print, this woven dress is made for parties. A cotton lining means it'll keep comfortable throughout the celebrations. …appears to be a colourful printed top and leggings, but slips on like a one-piece. Poppers line the back and gusset with one picked out in contrasting gold so you can pair them up right first time. 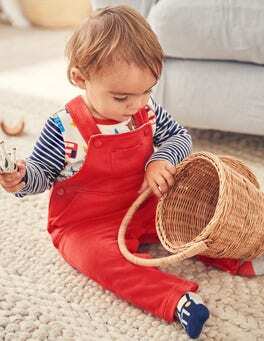 Non-slip spots, on sleepsuits sized nine months and older, help little explorers to stay upright. …sleeves and the low back know how to get all the attention. This style is perfect to take you to that summer wedding or for drinks out on those in-betweeny evenings. If you’re 5ft 10in or over, choose the 'tall' size (we’ve increased the length proportionately throughout for a flattering fit). …little attitude. Colourpop piping and a herringbone tie at the waist add dynamic detail; you can choose whether to wear it loose and laid-back or cinched-in and feminine. If you’re 5ft 10in or over, choose the 'tall' size (we’ve increased the length proportionately throughout for a flattering fit). 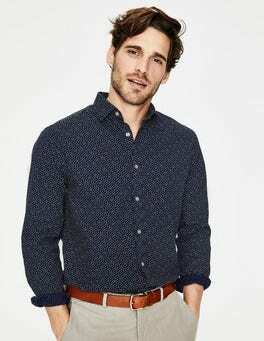 Get the basics right and the rest of your outfit will follow suit. 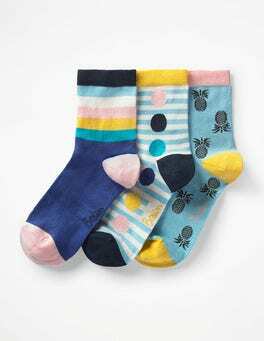 These cosy socks come in a three-pack and, while each pair features a different print, they’re all made of the same soft, stretchy cotton-mix. They come in their own box so they make a lovely present, too. Simple, feminine and flattering? 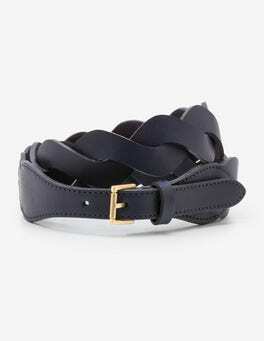 It must be our woven waist belt. In soft suede with a leather lining, this design is oh-so easy to wear. Try it as a finishing touch for a ponte dress. 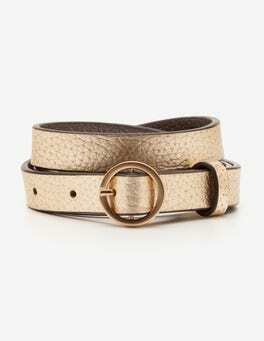 This intricate belt makes outfits stand out with a touch of texture. The overlapping woven leather and gold buckle adds sophistication to your favourite jeans and makes a statement feature on a shift dress. For coordinated perfection, match with our woven detail bag. 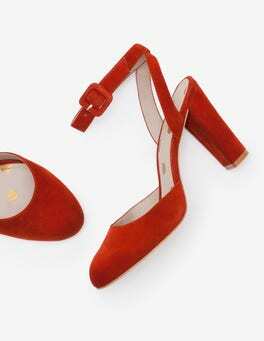 Made from touchably soft suede, these shoes are comfortable enough for long days at your desk. But their classic good looks also definitely deserve to be shown off after work. Take them out and you'll appreciate the comfort that comes from the ankle strap, block heel and leather lining. Skinny shape, big impact – this slender belt is an everyday staple that adds definition and flair to loose dresses or your favourite jeans. Choose a striking pony finish or add a pop of colour with a leather option. It's finished with a circular buckle and an eye-catching metallic lining. 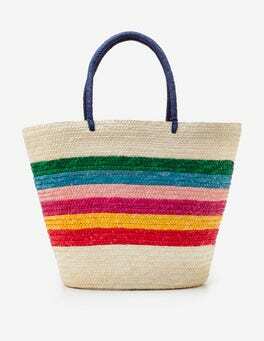 This colour-popping woven bag will be your next beach companion. It sports a rainbow of sunshine stripes and a coordinating handle that can loop over your arm or shoulder. Perfectly sized for carrying seaside essentials, it’s also fully lined to protect against sand seeping in. 48cm/19" wide at opening x 35cm/13¾" high x 20cm/8" deep, total strap length 51cm/20"